Sutton’s former workhouse in Mill Street is a reminder that there were many poor people living in Sutton in the past. In the Middle Ages the poor of Sutton were given alms by the officers of the Court Leet - these were the men chosen each year to be “Headboroughs” of the five districts of Sutton. In 1416 they dispensed 21pence in Great Sutton, 20 pence in Little Sutton, 10 pence in Ashfurlong, 10 pence in Walmley and Wigginshill, and 8 pence in Maney. By 1600 the system had changed, and poor relief was distributed by Churchwardens and Overseers of the Poor from funds collected as poor rates. The poor, who were exempt from paying taxes, could prove their poverty by showing a certificate saying that they had received relief from the Parish. In 1674 the collectors of the Hearth Tax had to account for every household in Sutton, and out of 311 householders recorded, 129 were not taxed because they were certified paupers. The system changed again in the 1720s, when the new Poor Law required the establishment of workhouses. The Warden and Society of Sutton raised £1200 in 1727 from the sale of 3,664 oak trees in Sutton Park, intending to spend £400 on building a workhouse, but the workhouse was not built until 1739, after more capital had been raised by selling all the timber trees in Hollyhurst for £1250. In 1728 Bishop Veseys Grammar School had removed to its present site in Lichfield Road, and the workhouse was built in Mill Street “where the old school stood”. The Poor Law Amendment Act of 1834 changed the system again, giving responsibility to groups of parishes called Unions, and Sutton came under the Aston Union. The Board of Guardians of the Aston Union closed the Sutton workhouse in 1837, transferring the inmates to its workhouse in Erdington. The old Sutton workhouse was sold at auction to Sir Francis Lawley of Canwell, and was afterwards converted first to a schoolmaster’s house and then to a private school. 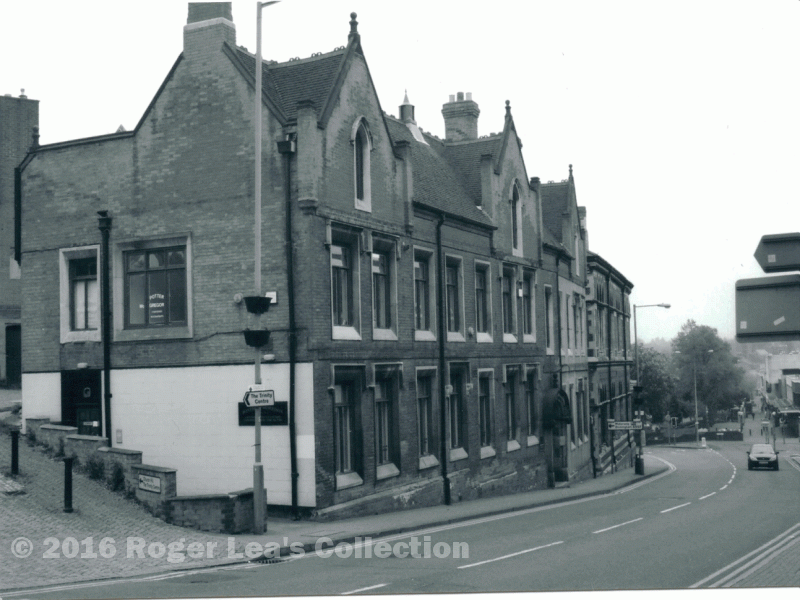 In 1888 the Borough Surveyor informed Sutton Council that the conversion of new offices was nearly complete, and in 1892 Richard Holbeche wrote “the old workhouse…has lately been very well restored and converted into municipal offices”. The old workhouse in Mill Street.